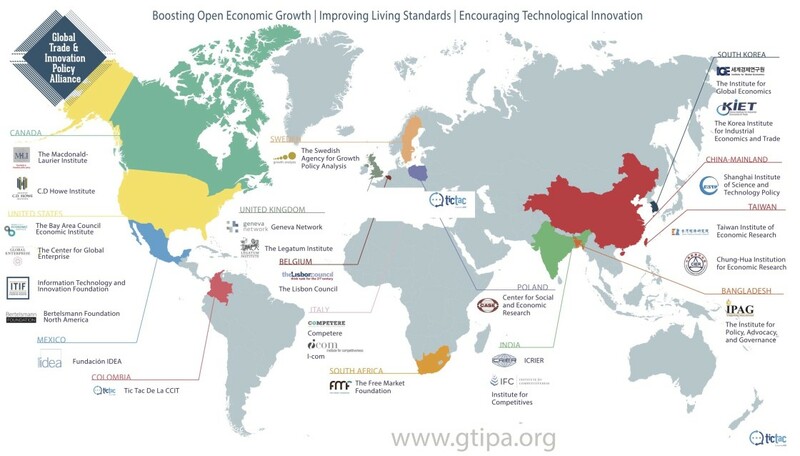 Finalmente arriva a Milano l’Innovation Summit che organizziamo con la Global Trade & Innovation Policy Alliance (GTIPA), Competere e I-Com. Più di 20 think-tank internazionali si ritrovano a Milano per discutere e promuovere nuove politiche per favorire l’innovazione e il libero scambio. Milano dal 16 al 18 Maggio. Welcome to Milan for the 2nd GTIPA Summit. We are so delighted and honored to host you to two days of discussions, debates and networking. It has been an intense year since our first summit in Shanghai. Many things have happened meanwhile. The economy is surging worldwide pushed by exciting technological developments despite two of our main principles–globalization and free trade–being questioned. In some cases they are threatened by protectionist policies or initiatives, whose aim is to stop the free flow of people, goods and capital. Faced with all this, our role and work must be further strengthened and our effort to build a more open and prosperous world must be even more determined. The technological singularity we are experiencing is a great challenge that should not exclude people but engage them in the construction of a better and more sustainable world. It deserves answers that, as GTIPA, we aim to provide. This is why our second summit represents the chance to elaborate some of the rules, practices and policies that, if implemented in the right way, could help foster innovation, expand liberties and build a more prosperous economy for a larger and larger number of people. Again, technology must be used to include not to exclude. It is a great opportunity. From Shanghai to Milan. It is not a coincidence. These are two of the most vibrant cities in the world. They are very different, but they both offer a stunning perspective to the future. Milan is a (relatively) small city, but it is at the center of a wide network that combines one of the most innovative manufacturing regions in Europe and and one of the most energetic SME ecosystem in the world. Design and technology are being mixed to produce some of the most amazing original and unique products in the world. 3F: Fashion, Food, Furniture. Well, this is a diminutive definition. Milan and its Interland of 9 million people are much more than 3F. Hopefully you’ll have the chance to discover what it is. Including the incredible location. Milan is indeed surrounded by the Alps and its glacial lakes with kilometers of skiing tracks, linked to a multitude of incredible historical locations and cities, where different customs and traditions can be found, not far from one of the sweetest shores in the world. It’s a city overwhelmed by art galleries, restaurants, bars, and clubs, anything that can inspire and amuse us. Milan has also pioneered the sharing economy. We hope you will share fun and joy, that will inspire your dreams and daily work.